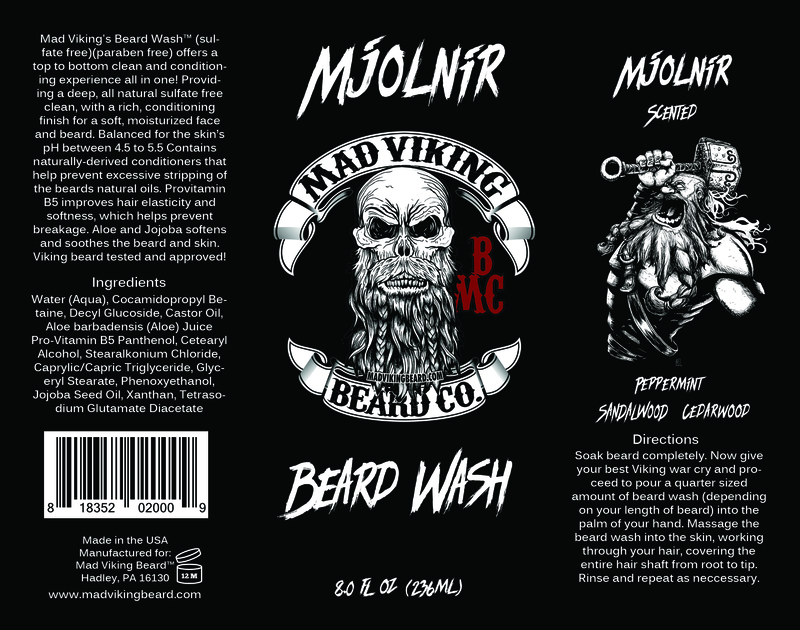 Mjolnir Mad Viking's Beard Wash - Mad Viking Beard Co.
Mjolnir Mad Viking’s Beard Wash™ (sulfate free)(paraben free) offers a top to bottom clean and conditioning experience all in one! 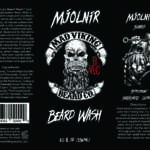 Providing a deep, all natural sulfate free clean, with a rich, conditioning finish for a soft, moisturized face and beard. Balanced for the skin’s pH between 4.5 to 5.5 Contains naturally-derived conditioners that help prevent excessive stripping of the beards natural oils. Provitamin B5 improves hair elasticity and softness, which helps prevent breakage. Aloe and Jojoba softens and soothes the beard and skin. Viking beard tested and approved!